Looking to build a force of figures for a SAGA type warband and would like some input on figures available…yes going into a period I know little about…again! I think they would just be a hoot to paint. Naismith Design has a very nice large range of "true 25mm" figures back in the early 80s. They're still available, but the manufacturer scorns such modern frippery as PayPal or pictures on his site. Take my word for it, they're beautiful. 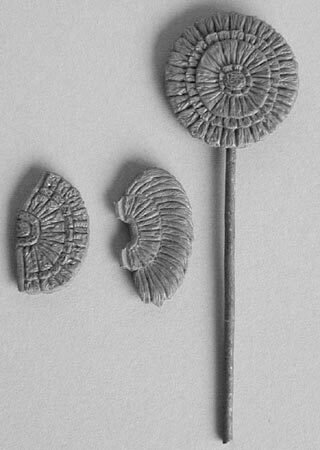 In one of the oddest moments hobby-wise that I've witnessed, Eureka showed pics years ago of a forthcoming Mayan range (and oh, they looked beautiful) but the figures were never released, apparently evaporating into thin air with some rather cagey answers as to why. Very strange. I'd guess some dispute arose with the sculptor, but who knows. Sorry, not much help to your query, but I still scratch my head over this one. Then again I can look on the bright side and and think of all the money I saved! Good luck with your search! Outpost has a very nice range with lots of variety. Eureka Aztecs are nice also. The Assault Group is nice but I think their shields are to thick. 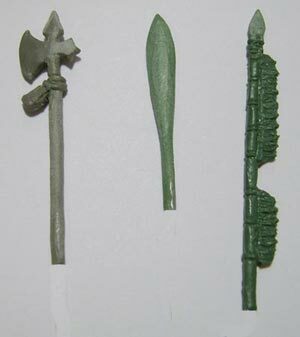 I have miniatures from all three manufacturers. I ordered extra shields from Outpost to use with the Assault Group Aztecs. I don't know of they are the best as it is not a period I game, but Foundry has a range as well. What do you plan to do with them? I have wanted to paint some for years, but I can't figure out how to make an interesting game. Checkout 'Age of Discovery' on Facebook. New range of 28 mm miniatures being developed for the period. I have figures from Eureka, Oupost and The Assault Group. My favorite are the Eureka figures. I am using my Aztecs against the Tekumel figures which were produced by Eureka and are now available from thetekumelclub.blogspot.com The Empire of the Petal Throne figures have a very MesoAmerican look to them. I am using them as the civilized nations versus the Aztecs as barbarians. Most of my figures are Foundry and Assault Group for the Aztecs. Sorry I'm late to the party. This is of great interest to me as I have large armies for the Aztecs, Incas and the Maya. My Aztecs are a combination of Eureka, Foundry and TAG. All are fine figures and the preferences would depend on the sculpting styles. As mentioned above, Outpost is also a great source for all the shields and weaponry that would be required. "What do you plan to do with them? I have wanted to paint some for years, but I can't figure out how to make an interesting game"
I'm going to use them with the SAGA 2 rules and use perhaps the Skraelings or Viking battles boards. I just want to paint them! There are some upcoming scenario books that should be able to be used for interesting battles. My armies are a bit larger and I use Hail Caesar. Conquistadors and Tlaxcaltecs vs Aztecs, and Conquistadors vs Inca. The Maya are still coming together. I have Saga faction sheets for some of these armies but they are for Saga 1. I don't play the second version. 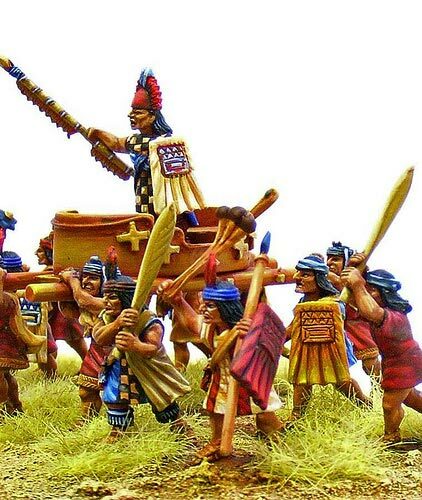 Paymaster Games has a huge line of Aztecs (5 elite units and 8 heroes). They are reworking their Aztec commoner units. They are working on growing their Mayan (2 heroes and one unit) and Inca (two heroes) lines. In addition to very large lines of Pacific Northwest (full army -5 heroes, 2 elite units, 5 units, 1 totem pole – no standards or musicians) and Native American Monsters. they have also started work on a Hawaiian army (2 heroes and 3 units). We also have heroes for Maori, Plains, Eastern Woodlands, and Inuit/Eskimo. So I go to the Paymaster Ebay store. Some nice figures that I could use. A nice Inca Shaman ………$6.00 for the figure and $22.75 USD shipping. Is that right? Ya I know. I have been working I trying to collaborate with a EU company to help distribute in Europe. I have had no luck. Do you lot have any ideas? For starters, I'm not in Europe. That's for shipping to Canada. if you want a copy of the book, I am heading to the post office later to send a book out, I can get you the proper shipping. Ebay is very expensive for foreign buyers, buy it has been the best way to get my models out their, since I do not have my own store at this time. I will get you the proper shipping to Canada when I get back. OK Bowman, it would cost $16 USD shipping to Canada. If you are interested please pm me and I can get you the book. I have some of the Foundry Aztecs and I really like them. I have to thank all those who suggested other makes as I'd like to add to them and Mayans, Incas and Spanish allies would be great additions.